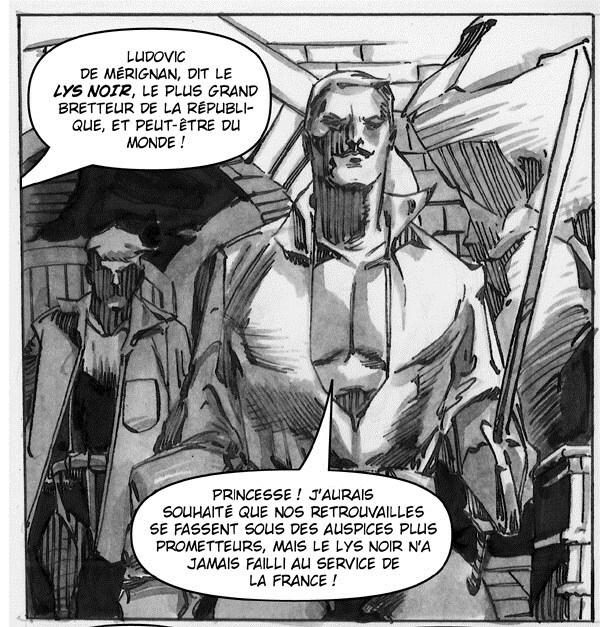 Ludovic de Mérignan is a descendent of Lucas de Mérignan, the first Black Lys, and Valentine de Mérignan, who fought alonside the Night Prince. He was a strong supporter of the Resistance and was a member of The Partisans. He killed Scarlet Lips in 1944.